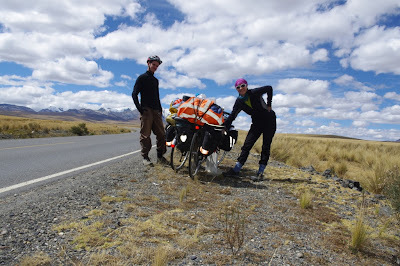 In April 2012, we embarked on an incredible cycling Journey that would take us from Anchorage, Alaska to the Southernmost town in the world, Ushuaia, Argentina. We travelled through fourteen countries, pedaled over 28,000 km, and met some of the kindest people on the planet. An epic endeavor, to say the least, but we have enjoyed every minute of it, and have discovered that it is pretty incredible what one can accomplish by just chipping away at a goal. On March 9, 2014 we arrived at our final destination of Ushuaia, Argentina...lt has been the trip of a life time! Can't see the slideshow? Click HERE to be directed to our full gallery.